Say hello to Yoku the Dung Beetle, a new hero who has arrived on Mokumana Island to relieve the resident pterodactyl postmaster, or Posterodactyl, as he's known, of his duties. He's ready for the easy life, soaking up the sun and delivering parcels on a tropical paradise! 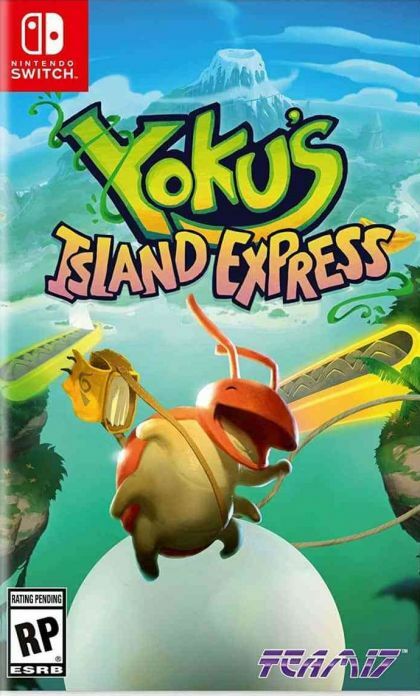 However, Yoku will quickly discover that an ancient Island deity is trapped in a restless sleep, and a host of colourful, quirky islanders are plagued by quakes and storms brought forth by its nightmares. It's all down to Yoku to traverse the island using a unique blend of pinball mechanics and open world exploration, in an amazing quest to help those in need! Unlock Amazing New Abilities: Help the friendly locals and earn a range of fantastic new power-ups! Vacuum explosive slugs and wake up sleepy villagers with the noisemaker! Captivating Story: Meet a cast of unforgettable characters across multiple storylines  whilst uncovering the islands deepest secrets. And maybe rebuild the post office too!